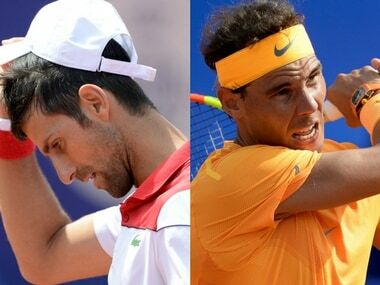 Barcelona: Novak Djokovic admitted he is suffering from a lack of match-practice after slipping to a surprise defeat in his latest comeback from injury at the Barcelona Open on Wednesday. 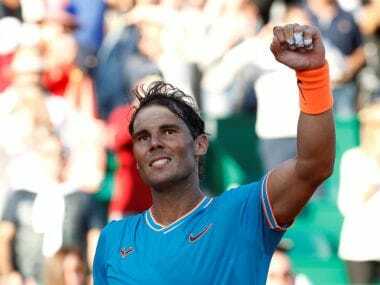 Djokovic had been on course to meet Rafael Nadal in the quarter-finals but a disjointed display gave his second round opponent Martin Klizan, ranked 140th in the world, a 6-2, 1-6, 6-3 victory. World No 1 Nadal endured no such problems against compatriot Roberto Carballes Baena, winning 6-4, 6-4. While Klizan goes through to meet Spain's Feliciano Lopez in the last 16, Djokovic will now have to reset, with the French Open next month fast approaching. "You can work very hard on the practice courts but when you get into matches it's completely different," Djokovic told reporters afterwards. "I haven't had too many matches in the last 12 months so it's a lack of match-play and a lack of these kinds of situations." His latest setback is not the shock it once might have been. After losing in the Australian Open fourth round in January, Djokovic underwent surgery to correct an injury to his right elbow, which had been troubling him for almost two years. The problem has coincided with a prolonged slump in form for the 12-time major champion, who has reached only one Grand Slam final since winning the French Open in 2016. But a reunion with long-time coach Marian Vajda this month had sparked hopes Djokovic could yet steer his career back on track. "Definitely I expect higher from myself," Djokovic said. "It's tough to deal with this kind of loss and these sorts of matches." There were encouraging signs in Monte Carlo last week, despite a three-set defeat to Dominic Thiem, with the Serb declaring there he was finally playing without pain. He was well below his best against Klizan, however, as the Slovak claimed his first victory against a top-20 opponent in just over two years. 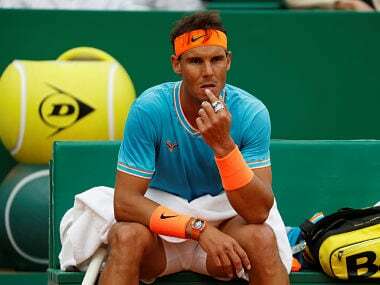 Nadal is going for his 11th Barcelona title this week and while the top seed looked comfortable against Carballes Baena, he was not impressed with his own performance. The 31-year-old will now face another Spaniard in Guillermo Garcia Lopez, who progressed after Kei Nishikori retired. Fatigue and pain in his troublesome right wrist appeared to prompt the withdrawal from Japan's World No 22, who told reporters after the match: "I started feeling discomfort again during the first set and I did not want to take any risks." It completes a double setback for Asian players as Hyeon Chung, the South Korean who was a surprise semi-finalist at this year's Australian Open, withdrew before play in Barcelona even began.